SOLD. 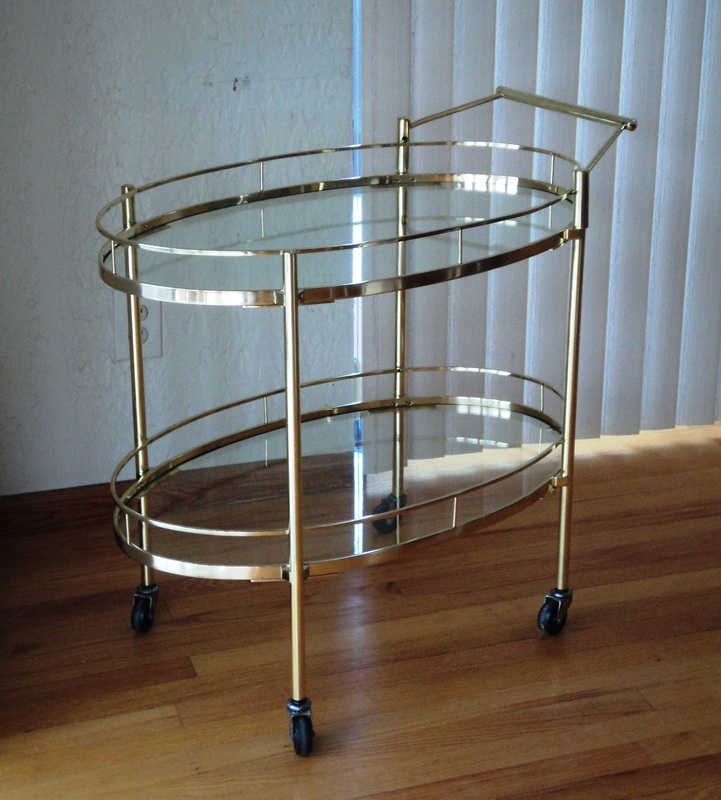 Hollywood Regency Style Two Tier Brass Oval Tea/Bar Serving Cart. 1950s/USA-Attributed to Maxwell-Phillips, NY. Excellent Vintage Condition. Recently Professionally Polished. 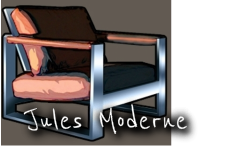 Glass has Scratches/Chips-Happy to Have New Ones Cut or You Are Welcome Locally Source (Less Shipping Costs/Risk of Damage). 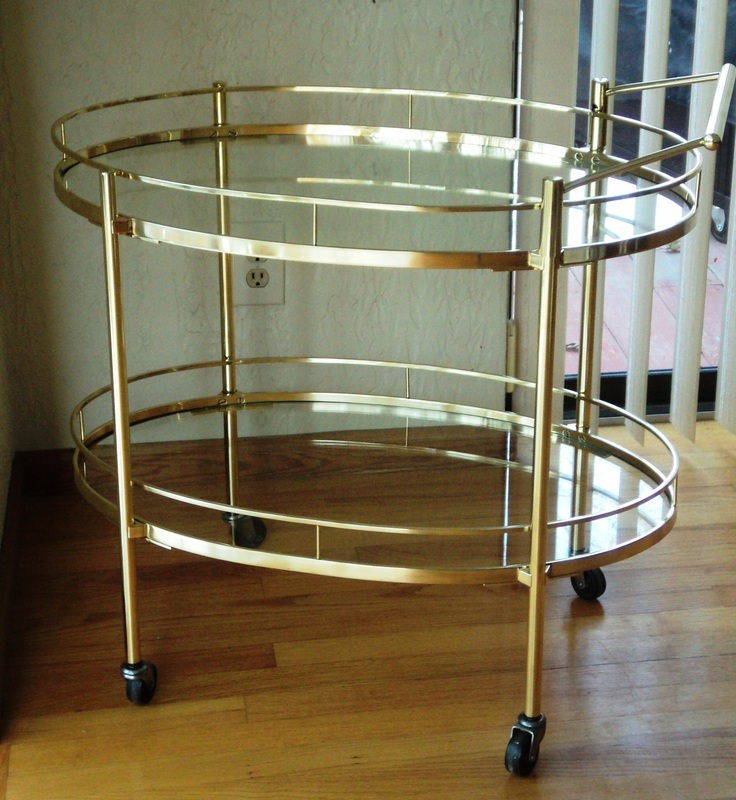 All Brass Structure. 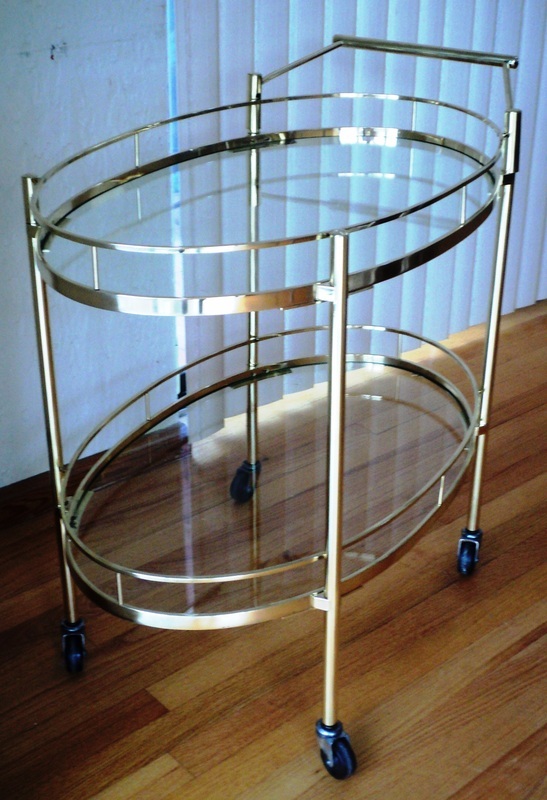 Oval Glass Shelves (2 Total). Chrome/Rubber Casters. 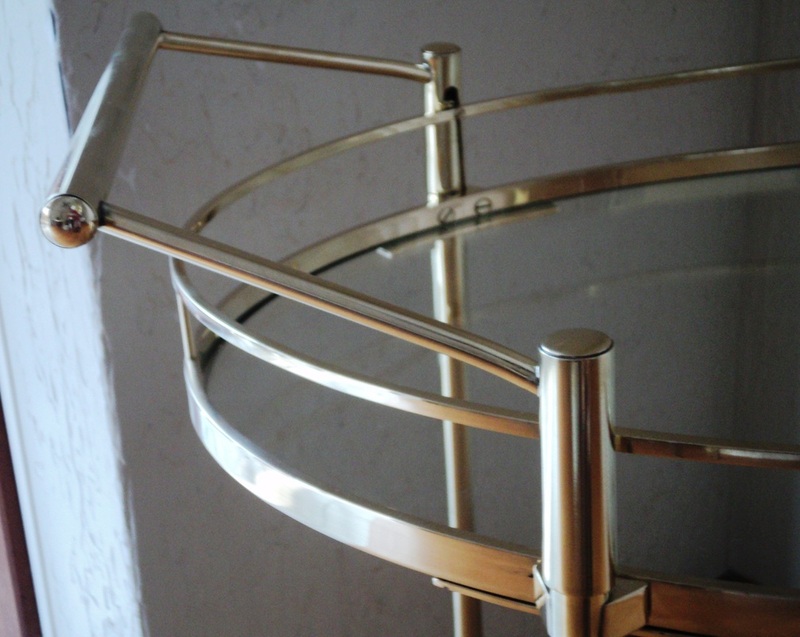 Removable Square Brass Rail/Cart Handle. Dimensions with Handle: 31.5w x 29.75h x 18.5d.